This comes straight from Sony, and applies to any European retailer. High demand, according to retailers, has meant that European PS4 pre-orders are no longer guaranteed at launch. "You can still pre-order PS4 with us in case we receive cancellations and can fulfil your order for launch," says UK retailer ShopTo, who told Eurogamer that the instruction came straight from Sony and applied to any European retailer. If there are no cancellations - as seems likely - then pre-orders made after August 6th are out of luck. "We will ship orders as soon as we receive sufficient inventory," says Amazon, but given the projected Christmas release date you have to assume that receiving inventory will be one of the many things held up by the seasonal rush. 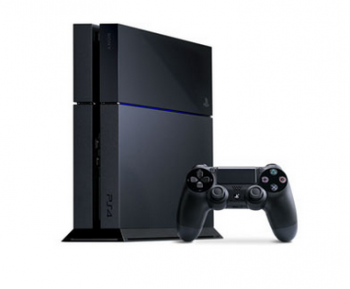 It's not the first time a supply problem has forced retailers to cap PS4 pre-orders. GameStop announced it was putting PS4 pre-orders on hold in July, and retailers are seeing pre-order interest at peak levels, with Amazon claiming, during E3, that it was selling about 2,500 consoles a minute. Even Xbox One sales started picking up, once used game and online restrictions were removed, and the PS4 still enjoys a $100 price difference between it and its closest rival. There's still no confirmed release date for the PS4, but it is supposed to be on store shelves for Christmas. Very, very briefly on store shelves, by the look of things; Santa had better be on the ball this year, or the milk and cookie supply may also get capped.